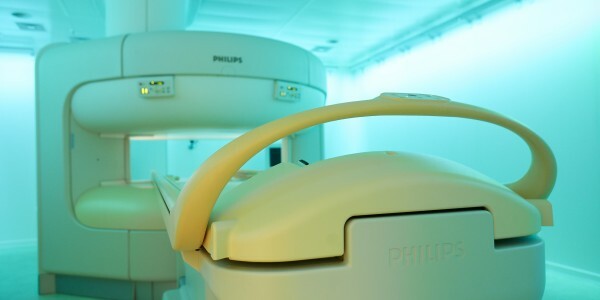 Our Philips open 1.0 Tesla magnetic resonance imaging scanner offers wide-open space for anxiety-free examinations and reliable diagnoses. 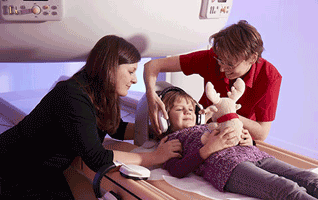 A state-of-the-art MRI scanner with plenty of comfort and detailed images. 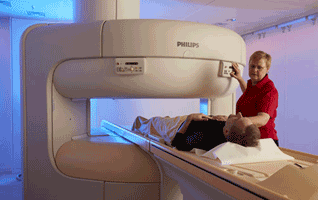 The patient can lie comfortably during the MRI examination and let their gaze wander. 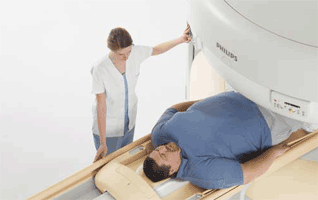 The open sides of the scanner means that extremely overweight patients can also be examined. 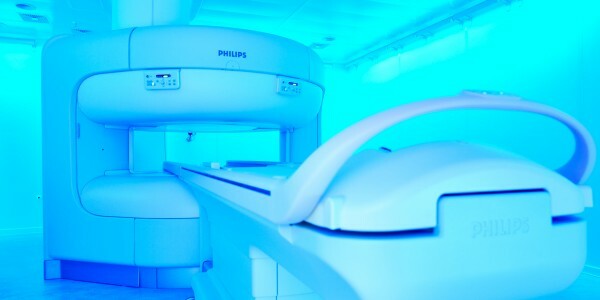 In comparison with conventional MRI devices, the Panorama Open offers significantly more space. The examination table can be loaded up to 200 kg. 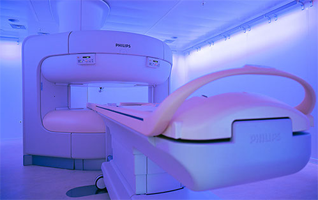 The Panorama Open also allows people to have an MRI scan, for whom conventional tunnel devices are no alternative, for instance people suffering from claustrophobia. The free space on the sides reduces the feeling of constriction. 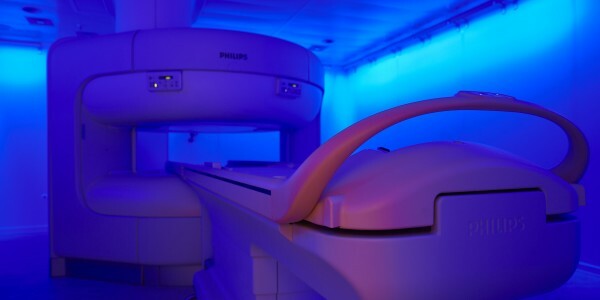 Our very generously proportioned examination room is additionally equipped with coloured lights which distract and calm the patient during the examination. 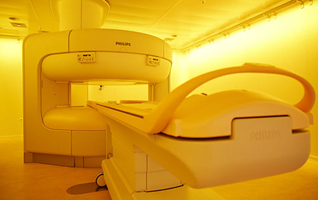 The open magnetic resonance imaging scanner has all the prerequisites for precise images. The wide examination bed can be moved in such a way that the relevant body region is always optimally visualised. The high image quality allows for reliable diagnostics. Furthermore, our staff take enough time to position each patient ideally on the examination table. A lot of people feel better if someone is with them – especially during an important examination. 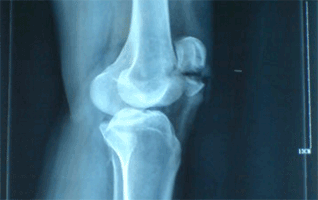 The Panorama MRI allows you to have the comforting presence of an accompanying person or member of the practice team. This means you are not alone. With the exception of the part of the body under examination, the accompanying persons may also stay in physical contact, if this provides additional relief. Coloured lighting according to your tastes makes you feel comfortable. 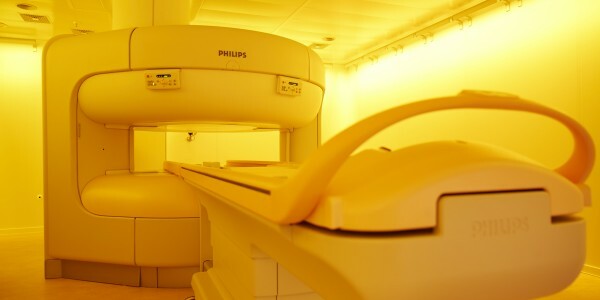 It ensures that you can relax more easily and lie still during your MRI scan. That is why we ensure our examination room has the correct lighting if so desired. We can provide this both in a single colour or with smooth colour transitions. 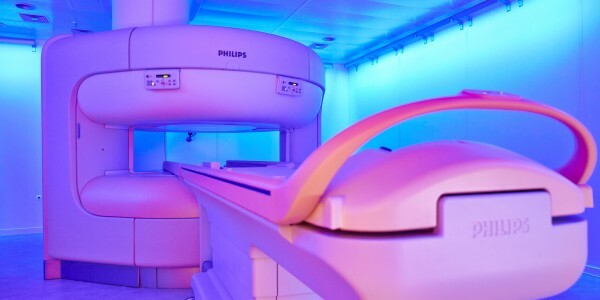 Our Panorama Open MRI offers the possibility of anxiety-free examinations of all parts of the body especially for people who are claustrophobic or overweight. 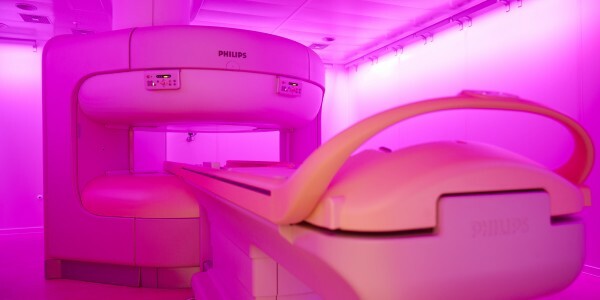 With lighting effects, the possibility of an accompanying person and close medical support we can make the examination experience easier for claustrophobia patients.